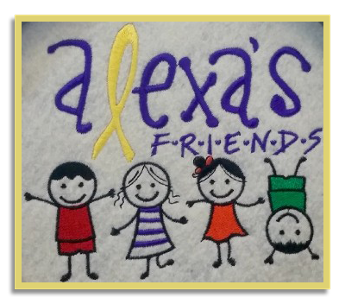 Alexa knows first hand that making room for fun should be a priority to "her friends" battling cancer. ALEXA'S FRIENDS FUND will make that a reality!! We all know that children love to daydream about their favorite fantasy. Whether it's a tale from their favorite storybook, a cartoon character, real-life hero, a musician or an athlete. We will inspire imagination and design a kid's bedroom around a cherished fantasy and will provide a special room where they will love to spend time. We hope you consider sending your donations to Alexa's Friends Fund. for little boys and girls diagnosed with cancer.